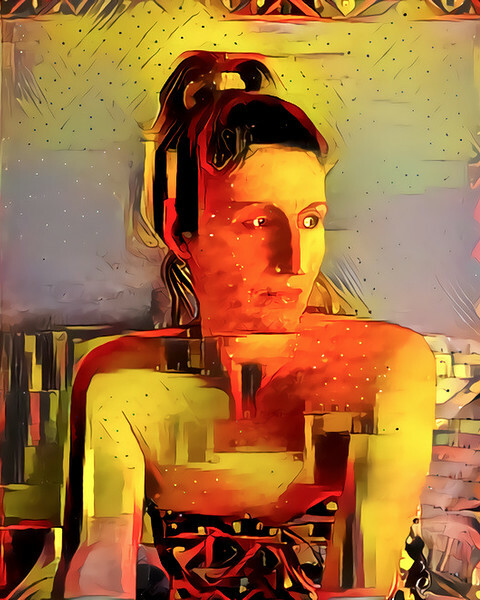 Another AI Deep Dream Generator rendering. This time I used an image from the 1047 Beatus of Facundus illuminated manuscript for my "deep" style. The Beatus images illustrate the apocalyptic last book of the Bible: Revelations. They are filled with golden and blood-red demons, devils and monsters. Oddly all this horror applied to a nice 2002 profile of my wife produced this quiet portrait.